Hydroxytyrosol What is it? What are its Properties? Hydroxytyrosol is found in the olive trees and is concentrated mainly in the leaves, where it acts as an antibiotic and an immunostimulant. It can also be found in extra virgin olive oil—both in its free form and in the form of oleuropein (which gives the oil its bitter taste)—but not in other oils as it is eliminated during the refining process. As hydroxytyrosol is found in extra virgin olive oil, it is commonly consumed in countries with a predominantly Mediterranean diet. Several studies have shown the relationship between the consumption of a Mediterranean diet and the low incidence of cardiovascular disease, and hydroxytyrosol is one of the compounds responsible for this effect. The antioxidant activity of hydroxytyrosol is one of the highest of all the polyphenols, even higher than that of vitamin E.
The Mediterranean is famed for the quality of its lifestyle: the sea, climate and local food all make it a unique destination for those seeking natural well-being. For many centuries, different civilisations have settled along its coast, bringing with them their different cultures and contributing to enriching the inherent value that already existed in the Mediterranean. With the passage of time, the area has inevitably become tied to the word tranquillity, in addition to the cultural, natural and culinary wealth it offers. While, until modern times, perception of this “well-being” has been founded on a greater or lesser scientific basis, in recent decades, extensive studies have found that the Mediterranean diet is directly related to a lower occurrence of cardiovascular diseases than in places where people follow other types of diet. So, what makes it so special? There are several keys, but one factor is certainly the predominance of the consumption of natural products from the region, such as fruit (passion fruit, fig, quince, oranges, grapes, etc.) and vegetables, more fish than meat, dried fruits and nuts and accompanying meals with a small glass of wine. Added to all of these habits is the pleasant climate, with long hours of sun, which encourages people to spend time outdoors and do exercise. The food, climate and exercise are accompanied at all times by our Liquid Gold: Extra Virgin Olive Oil, the essential ingredient in an authentic Mediterranean diet and one that multiplies its benefits. 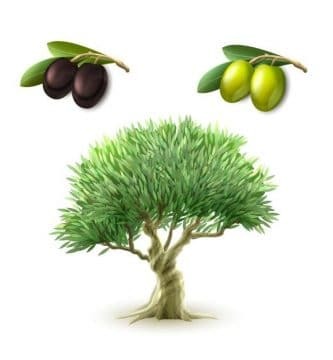 On examining the composition of Extra Virgin Olive Oil and olives, various polyphenols can be identified, with hydroxytyrosol having the greatest presence. Below we explain what this polyphenol means to our health. 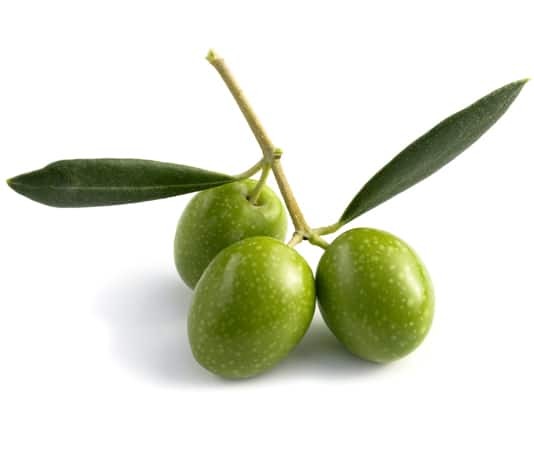 The main concentration of hydroxytyrosol is in the olive fruit, where it acts as an antibiotic and immunostimulant. It is eliminated during refinement, which means it can be found only in Extra Virgin Olive Oil, both in its free and oleuropein forms (responsible for the bitter flavour). The antioxidant activity of hydroxytyrosol is one of the highest among the polyphenols, and even exceeds that of vitamin E. This is the basis of its excellent capacity to neutralise free radicals, which are precursors to many current health problems. In 2011, the EFSA (European Food Safety Authority) stated that polyphenols in olive oil offer protection against oxidative damage and LDL (bad cholesterol) and consequently recommends a minimum daily consumption of 5 mg of hydroxytyrosol.